It’s a dream you may have had on Monday mornings while trying to drag yourself out of bed and not be late for another day of office monotony. You imagine what it would be like to just drop everything and run away. The idea is appealing; sailing the pacific, lying on a beach, writing from a Tuscan vineyard, or traveling the world camera in hand. We all have our dream scenario that we imagine on those dreary Monday mornings. However, for most of us, they are just that – a dream – a momentary escape from the every day, never to become reality. But why do these imaginings have to be relegated to ethereal daydreams that vanish as soon as they appear? What if you could make those dreams a reality? Well, you can. Whether it’s working from your dream location, taking time off to plan and execute a challenging adventure, or working while traveling the globe – there are now more options than ever for those that want to escape the rat race without sacrificing their careers. Many people at all stages of their careers have learned the emotional, psychological, and professional benefit of walking out on the office life, at least for a time. If you’re prepared, you’re never too young to take a detour from your office job. And what’s more – not only can you do this, you can leverage it to actually grow and accelerate your career whether that means returning to the daily grind, or sailing off into the sunset never to return. If this all sounds appealing to you and you’re wondering how to turn your dreams into a reality, here are several options for you to consider. First, probably the most traditional of the three is working (remotely or locally) in another location. Whether your paradise is the bustling streets of London, the cafes of Buenos Aires, or the beaches of Belize you can find the place that is just right for you. The expat experience varies from country to country, and you should be sure to thoroughly research the rules and regulations around work visas and residency since this will affect your ability to work locally. While expats have traditionally been either retired or working locally there are now thriving expat communities full of remote workers spread across the globe. Many internet entrepreneurs find their profit margins increasing as their living expenses decrease. This is a great short-term escape that can keep your career on track for re-entry after a year or two. However, unlike more nomadic options this allows for more permanency if you decide a year or two is not enough. A lot has been written lately about digital nomads. With the continuing integration of the internet into our work and personal lives, many people who work remotely or do freelance/contract work are now opting for a nomadic lifestyle for part or all of the year. 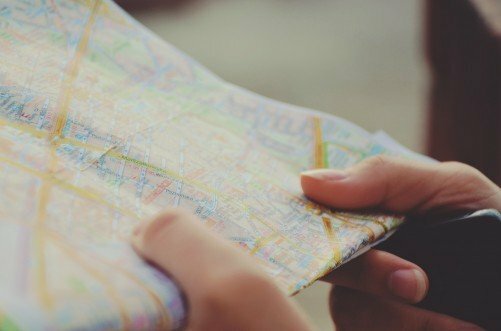 This lifestyle change begins with finding your remote work. This can be in the form of a traditional job done remotely, freelance work in a variety of fields, or remote contract work. You can engage in the local economy and supplement your income with local gigs like teaching private English lessons or translating documents. Whether you’re a doctor performing telemedicine, a freelance travel writer, or web developer, there are remote opportunities in almost every professional field that will allow you the flexibility to work from anywhere there’s an internet connection. Do your research to determine what opportunity is going to work best for you, and if freelancing you can even start establishing your professional experience while in your current position. While most people living the life of a digital nomad are traveling independently or with a partner, there are new opportunities for those interested in traveling with like-minded people. One option is Remote Year, a company that organizes a group of 75 professionals to travel the world spending 12 months in 12 cities, traveling, working, and exploring as a cohort. This and similar programs can be a carefree way to live as a digital nomad without sacrificing community or worrying about the details. For many this may seem like the most extreme option of the three – simply quitting your job and walking away from your career to take on an adventure. While this change of gears seems the most drastic, it can also be the most fulfilling. The extended time off can give you the chance to learn a new skill or language, live in a foreign country, or like Dwyer Haney to sail solo from the Pacific Northwest to Chilean Patagonia. His adventure took him from a fast-paced career to days filled with fishing, sailing, and eventually to his dream of skiing Patagonia. If this sounds like your kind of gig, learning how he planned his voyage might serve as a good outline for planning your own. No matter your voyage, preparation is crucial. Financial planning is the obvious first step – calculating what your expenses will be and saving until you reach your goal. Next, you must determine how you will leverage this experience to gain your next opportunity. It’s important to make sure you always have an eye towards the future and how your experiences can continue to serve you once the adventure has ended. One real benefit to this option is the ability to feel accomplished at the end of the adventure, and then spin that accomplishment into your professional marketing. 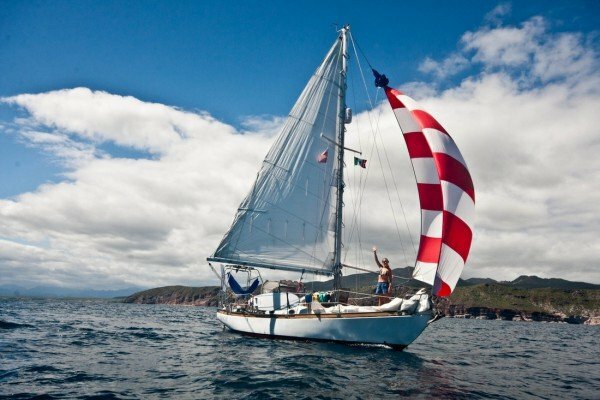 Whether you’re learning to sail like Dwyer, or completing the full Appalachian Trail, walking away with a unique accomplishment goes a long way in marketing yourself to employers and ensuring successful re-entry. How Does This Help My Career? The most difficult question to answer and the one that holds most people back from pursuing a mid-career retirement or adventure is looking at the key aspect of how this can be used as a net positive in advancing your career. There are two main aspects to making this time off/time away work for. First, you must make sure that your skills remain fresh. Even if you aren’t doing paid work make sure you are writing, or coding, or teaching – anything to keep your skills sharp. Second, you should ideally be expanding your skill set during this time. Whether you are learning a new language in your travels, learning or practicing a hobby, or exploring your industry in another country, it’s important to make sure you are using this time, to both escape the standard grind, and prepare for re-entry. When all this is said and done the last step is to re-brand yourself incorporating all your new knowledge and experience, leveraging both traditional and non-traditional skills to market yourself as you come out of your mid-career “retirement”. 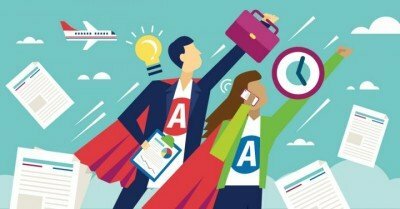 Here are some branding basics you’ll want to consider as you incorporate your newly-gained skills and adventure into your next career move. 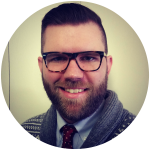 Geoffrey Edwards is a career development expert specializing in young professionals and career transitions. He utilizes his expertise to help clients uncover their passion and tell stories that communicate their unique value to employers.